Hi! This is Kimberley from Kimberley Swim Clinics. We've just had a spot come up in our 12pm The Foundations clinic next week at Ernest Bevin College. Mon 9th to Fri 13th April. Email me on kimberleyswimclinics@gmail.com if interested. First come, first served. Natalia3005 wrote: Another recommendation for Latchmere. Lukas is a gem. All the teachers are good and my boys have made amazing progress, first with Lucas and now with Paul. They are running crash courses next week, the afternoons are taught by Lucas. 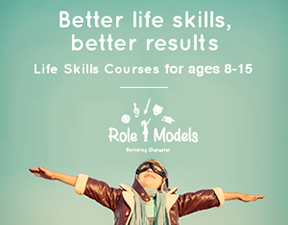 There's a maximum of four children per class, and spaces are still available, £50 for five days. My son has just completed his first swim clinic with KIMBERLEYS SWIM ans he had a great time with Edie and learnt do much. This is the way forward for us from now on, no more cramped & chaotic sw swimming on Friday afternoons for us anymore! Thank you to the wonderful and hugely supportive team at Kimberley Swim Clinics for another fantastic week of swimming. I am amazed at the confidence you have manage to develop in my apprehensive 5 year old over the course of the week, she has since been very proudly demonstrating her new stroke to anyone who would watch! Looking forward to the summer courses! 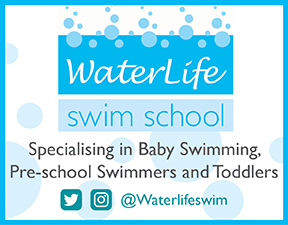 This is the 3rd time that we have done Kimberley Swim Clinics - it was actually a lifesaver for me as the weather outside over the Easter holidays was just awful, and my children really looked forward to their lesson...this way, they were able to get out and about combined with swimming which they loved. My son (aged 4) had Voytek (can't spell it but this is how it's pronounced) who was absolutely brilliant - he was a little nervous to start with but within 5 minutes Voytek had him smiling and learning front crawl and backstroke! My daughter started KSC just after her 3rd birthday in Feb (Edie the first time round) - she had Hannah this time and again lots of smiles from her and they both asked 'can we come back again tomorrow?'! Now that the course is over, both have since asked to return so I'll definitely be signing them up for more swimming lessons in the May half term! Thank you Kimberley for running a lovely, friendly great course with fabulous teachers and look forward to seeing you again soon. My 10yo dd did Kimberley's swim clinic for the second time at Easter. She made great progress in front crawl at the first clinic, and made further progress, particularly with diving in and tumble turns, at this second clinic. The clinics are excellent value for money as the children progress so much in just a week. I will definitely sign my daughter up again, I think she makes much more progress in 5 back to back lessons than in 5 months of weekly lessons! The sessions are very well organised and always run on time, and the teachers are very professional. We just have a handful of spots left at our May Half Term Kimberley Swim Clinics! If your child can swim but wants to improve their technique book them into one of our Perfecting Technique Clinics during the May Half Term break. We are away over the May half term so I wondered when the next ones are, over the summer months? Do they run throughout the summer? They sound amazing! We're just running one week this summer. It's from Monday 23rd July to Friday 27th July at Harris Academy Battersea between 9:30am and 11:30am. You can check out our website http://www.kimberleyswimclinics.co.uk or email kimberleyswimclinics@gmail.com for more info. Another shout out for Kimberley Swim clinics. My 5 and 7 year old just completed a week there and have come along with their technique more in 4 days than months of their weekly group lessons. The experienced and patient teachers, small group sizes and great venue make this a fabulous holiday swim school! Thanks @cass54 ! It's always good to be able to pass comments like this on to our teachers and staff. They make us all feel very proud of our little swim clinics. We just have a few spots left in our July clinics. 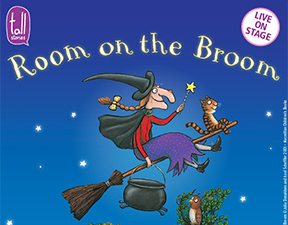 They are taking place mornings of Mon 23 July to Fri 27 July at Harris Academy Battersea. There are spaces in Water Confidence, Stroke Development and Perfecting Front Crawl but if you are interested in any of our other clinics please do get in touch as we may be able to put on a few more clinics. Cost is £90 for the 5 days and sessions are 30mins each day other than the 'Perfecting' clinics which are 45mins each day and cost £135 for the week. We're taking final bookings for our October Half Term swim clinics. They are taking place between 11:30am and 1:30pm each day from Mon 22 Oct to Fri 26 Oct at Ernest Bevin College. Check out www.kimberleyswimclinics.co.uk for info and see some of the comments in this thread for reviews. Places for each clinic are limited and will be allocated on a first come first served basis. The place is in our 11:30am Water Confidence clinic.